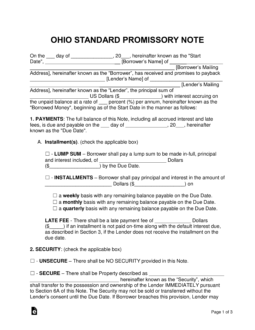 The Ohio promissory note templates are legal promises stating a borrower of a monetary balance will repay a loaned amount back to the lender with the addition of interest in a timely and orderly manner. When the signatures of all parties have been recorded in the document it will be legally binding and thus can be used in a court of law. 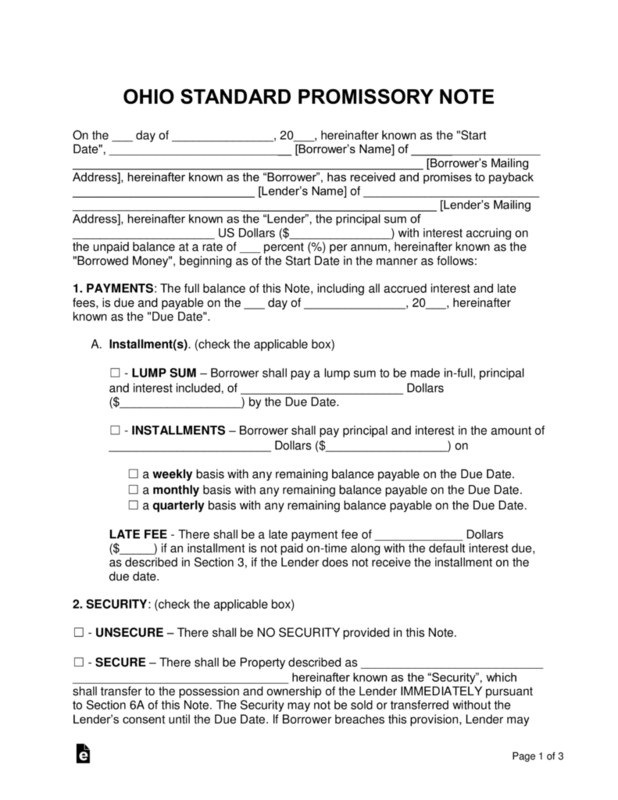 Secured Promissory Note – This document is ‘secured’ by having the borrower set aside a physical item such as a home, vehicle, or boat that is given to the lender if the borrower cannot repay the loaned balance. The item should be roughly similar to the balance of the note to ensure the lender is covered financially. Unsecured Promissory Note – Doesn’t include security, leaving the lender at an increased risk for losing the loaned balance. To help prevent loss, the lender should only lend to family, friends, and/or individuals with worthy credit.